EducationUSA is a U.S. Department of State network of over 425 international student advising centers in more than 175 countries. 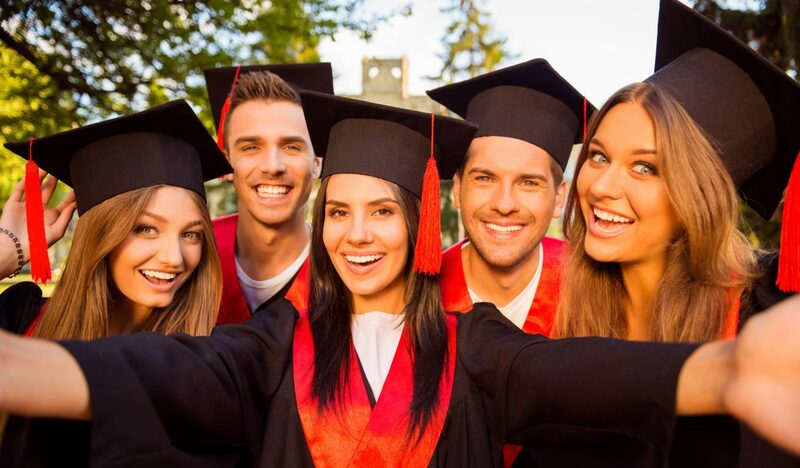 The network promotes U.S. higher education to students around the world by offering accurate, comprehensive, and current information about opportunities to study at accredited postsecondary institutions in the United States. EducationUSA also provides services to the U.S. higher education community to help institutional leaders meet their recruitment and campus internationalization goals. 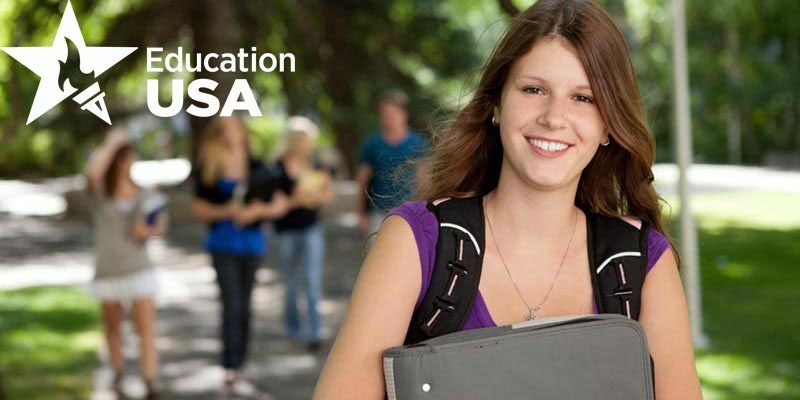 EducationUSA is your official source on U.S. higher education. VISA MYTH: The U.S. Embassy and Consulates have a limit on the number of student visas issued to foreign students. FACT: Student visas issued by the U.S. Embassy and Consulates are not limited to a particular number of students. If you are a qualified student and have been accepted to a U.S. university, you should be able to explain to a visa officer the primary purpose of your travel, the ability to pay for your studies and your intent to return to India after your studies in the U.S. are completed. If the visa officer is convinced, they will be happy to approve your visa to the U.S. to pursue your studies. Check out our website at http://www.ustraveldocs.com/in for more information. While an undergraduate student at the American University of Sharjah in the United Arab Emirates, Egyptian national Catherine Masoud spent a semester at Virginia Tech. She says the experience, organized through the nonprofit International Student Exchange Programs, helped her decide to go to graduate school in the U.S. She’s now a doctoral student in chemical engineering at the University of Texas—Austin. Prospective international students not yet ready to pursue graduate studies in the U.S. can take baby steps toward that goal. “Study abroad, exchange and summer school provide the ideal environment for international students to test the realities of living and studying abroad while developing their readiness for a graduate studies application,” says Benjamin Mack, associate vice president of international recruiting and marketing for IES Abroad, a nonprofit study abroad organization. Here’s what prospective international students should know about these three options to test out U.S. graduate schools. In addition to researching these options, experts says students should check with their universities or study abroad organization for visa requirements. 1. Exchange programs: Prospective international students can experience a different style of education through exchange programs that allow students from one university to study abroad at a partner institution. For instance, the University of Central Florida has Reciprocal Student Exchange programs, in which the school hosts students from partner institutions in exchange for them hosting UCF students for one or two semesters. Kevin S. Konecny, director of UCF Abroad, a department of the university’s Division of Teaching and Learning, says UCF had 160 in-bound exchange students during the 2017-2018 academic year. He says the university has 50 RSE agreements with international partner universities abroad. “The benefit to the international students is that they are meeting American faculty, fellow students and staff at the university in addition to citizens in the local community. All of this is of benefit to the students as they engage a different cultural context,” Konecny says. Work On Campus While Studying in U.S. Prospective international students can plan ahead to reap the benefits of part-time employment on campus. Masoud, who went to Virginia Tech as a chemical engineering undergrad, says she took two chemical engineering classes and courses in philosophy, sociology and economics while at the school. She says she was impressed by the academic culture at the university and was always surrounded by students eager to learn and who shared a curiosity about concepts beyond the basic course material. “The professors would also relate course topics to current research trends or pose open-ended questions, which easily inspires curiosity in any science-loving student,” Masoud says. Plus, meeting and befriending grad students who easily balanced school work with their active social lives made her want to consider grad school in the U.S. even more, she says. 2. Summer sessions: These programs usually occur between May and August and can include field trips, internships and other opportunities for hands-on learning. California State University—Los Angeles, for example, offers five-week or 10-week summer sessions through its Study in LA program for international students. “Students are able to experience the American style of higher education – this can be quite different than the style used in the country of origin. The American style of higher education requires the student to actively engage in the learning process,” says Becky Bishop, international program developer at Cal State—Los Angeles’ College of Professional and Global Education. During her junior year at the National Institute of Technology in Tiruchirappalli, India, Soundarya Balasubramani, an Indian national, spent 10 summer weeks in an internship at the University of Wisconsin—Madison. “I was working on a new software called General Algebraic Modeling System. It was the first time I wrote code in mixed integer linear programming,” says Balasubramani, who participated in the program through a scholarship from the nonprofit Indo-US Science and Technology Forum. She says while the summer program confirmed her interest in graduate studies in the U.S., her experience working alongside Ph.D. scholars made her reconsider pursuing doctoral studies in chemical engineering. “After seeing the day-to-day life of a Ph.D. candidate, I was sure that I had to switch my stream and go into something at the intersection of technology and management,” says Balasubramani, who is now pursuing an M.S. in Management Science and Engineering at Columbia University. 3. Study abroad: Beyond exchange programs, prospective international students also have the option of studying abroad at another university, which offers an opportunity to experience a side of their major not seen at home. “Being at another university exposes the international student to the different perspectives American faculty will have as they approach the various topics international students will study while in the USA,” Konecny says. Mack of IES Abroad says one of the most frequently cited benefits for study abroad students aspiring to graduate studies “is the opportunity for students to develop personal relationships with professors and academics in their field of study.” He says students often seek to develop mentor relationships to guide them in their academic and career pursuits. Mack says a study abroad program also benefits students outside the classroom. “Students receive a sampling of culture that can reduce the surprises of first time arrival at a graduate level. These range from factors of time and place, to city, climate and culture,” Mack says. At Virginia Tech, Masoud says she was fortunate to live in graduate dormitories with master’s and doctoral students. She says her social life with grad students gave her insight into how her life as a graduate student in the U.S. might be. Searching for a graduate school? Get our complete rankings of Best Graduate Schools. Have you started hearing from schools about their admission decision? Read to know about how to choose the best school for yourself and how to avoid these common mistakes. Based on my experience these are the mistakes students often make in searching for colleges the right college to attend. Your goal should be to find the right college for you, not your best friend. Even the closest friends have different goals and ambitions. You may do well with lecture based classes while your friend wants discussion based classes. Figure out who you are and what you want from a college. Then go search for the college that fits your needs. See our advice in No. 1. You are also not your girlfriend or boyfriend. You have different interests, different ways of learning, and different life goals. If you are truly meant to be with each other, you can survive going to different colleges. Just as pleasing mom and dad is not a good reason to choose a college, getting back at mom or dad is also a terrible reason to choose a college. Some students so want to break away from the parents that they choose a college that is the opposite of what they believe their parents want for them. This approach does not produce any better choice for your college years. Determine what you really want from a college and try to find a college with those attributes. Don’t worry about whether mom and dad will think of your choice. If it is the right choice for you your job is to convince your parents of why it is your best choice. The year after Northwestern University played in the Rose Bowl they had a record number of applications. This effect even has a name, the Flutie Factor. Named after Doug Flutie the Boston College football quarterback who led an upset win over the defending national champions, many colleges have noticed a substantial increase in applications that year after noticeable success in some well-known sport such as football or basketball. If you plan on playing college sports at this level then go ahead and give this issue some thought. But remember, college is about getting the best education you can get for your needs. The ability to not only study but also have a good time in college is something that most students desire. And that isn’t necessarily bad. But like everything else, remember why you are going to college and spending all of that money. You are there primarily to get an education. If that isn’t your first priority then maybe you need to rethink whether you should be going to college. You should also understand that even the most academically strenuous colleges will have parties available. You can find a party anywhere; don’t make it your priority in the college search. Want to be near home? That is certainly one of the criteria a student may have for choosing a college. But for most people, expanding your scope a little bit provides many more choices for the best educational experience for you. How about 200 miles, or even 300 miles? The further away from home you are willing to consider, the more options you have and the more financial aid you may receive. If you haven’t tried to figure out who you are, how are you going to find a college that is best for you? At 17 you are not expected to know everything about what you will do with your life or what sort of job you will end up with. But if you don’t examine yourself at all you have little hope of finding a great college for you. Do you want a big campus or a small one? It’s fine if you don’t know the answer. If possible, visit a large campus and a small campus. See which type of atmosphere you prefer. If you can’t get to visit different campuses, read articles about the advantages and disadvantages of each type of campus. Visiting a college campus while the students are present is a great way to get a feel for a college. Talking to people, seeing what posters are up around campus, sitting in a class and seeing how professors and students relate to each other can all be valuable ways to decide if a college would be a good choice for you. If you can’t visit a college, try to visit a similar type college around the Twin Cities. While each college is different you can get some impressions of a type of college by visiting similar schools. But if you aren’t able to visit then you have an even greater need to spend time investigating the colleges you are considering. Some colleges emphasize teaching of their students while others focus on research. Some have big time athletics as the focus of the college while others don’t even have a football team. While many colleges will have similarities with other colleges, they will also have differences. Your job is to find the differences that matter to you that will make for the best college experience possible. Americans love to rank things. What’s the best car, the best doctor, the best hospital? The problem with rankings is figuring out best for whom. Because we all have different interests, and different standards, finding the best of anything is going to be a matter of one person’s judgment. Just because a school has the reputation of being prestigious, does not mean that you are going to like it. What if the school doesn’t offer the major that you want? What if it doesn’t offer the extracurricular activity in which you want to be involved? You need to consider aspects that are important to you when choosing a school instead of worrying about how whether or not it is a high-status school. If someone you trust gives you an opinion on a college you should go ahead and investigate that college. But remember, this is only one person’s opinion, no matter how much you trust that person. Your job is to put together all of the information you gather about various colleges along with all of the opinions you receive, and form your own opinion on what the best college for you might be. A college education is one of the most expensive things you will buy in your lifetime. And you are choosing a place where you are going to live for four years of your life. Now is not the time to be shy. Ask lots of questions of lots of different people. Most current students and faculty members of colleges will be happy to talk to you about their college. If they aren’t that tells you something about the culture of that college. If you have trouble asking strangers to talk about their college send emails, or participate in online chats. Most people in admissions will be happy to answer your questions or get you in touch with someone who can answer your questions. Colleges are generally looking for the same thing; students with strong academic backgrounds with interesting lives outside of school. However, just because your math teacher considers you a prodigy, doesn’t mean that you are going to be admitted to every college you wish to attend. Among the most selective colleges in this country, many regularly reject students with perfect GPA’s and perfect test scores. The more selective the colleges you are considering, the more you need to be aware of the competition to gain admission to such colleges. Go ahead and apply to highly selective colleges, but keep for consideration a less selective college in case you aren’t admitted to that other college. This is an article in itself so all I’ll say is don’t assume that just because you may be admitted into a college you can afford it. Most of the financial aid goes to students who are in the top 1/4 of the entering freshman class so make sure that you review the grades and ACT or SAT scores of the student that are regularly admitted. The College Planner that you now have access to is a great tool for this so make sure that you use it. Every student has a variety of resources available to help them find the right college. One of the most helpful recent resources is the internet. A wealth of information can be found on the web sites of the colleges themselves to sites providing general information or discussion boards where people give their opinions on various topics related to college admissions. Again, our College Planner is an EXCELLENT source! Contact current college students who are recent graduates of your high school. And don’t forget your parents, family members or other adults who have attended college. If you have made it this far without making any of the mistakes listed, don’t make the mistake of not fully checking out your college choices. Students will sometimes find a college that seems perfect and realize too late that it doesn’t offer the major they are interested in. Or they may find out that the “perfect” college has a culture dominated by the Greek system and the student is not a joiner or party person. The best way to avoid problems like these is to do your research particularly on those colleges in which you have an interest. The best way to investigate a college? Go for a visit and stay overnight in the dorms; eat the food; talk to the students. Often times, such a visit will confirm all the best you thought about a college or dash any interest of attending. Either way, it is better to find out before you set foot on campus as a new freshman if this isn’t the place for you. Up until now we have been talking about finding the “right” college. But the reality is that there are many “right” colleges for most students. If you have found a college that feels right for you, ask them who their main competitors are for students. Chances are in that group of competitors you will find other colleges that also feel right for your interests. You may even find a college that feels even more “right”. But you have to have an open mind in the search for the right colleges for you. Don’t close off your options by limiting yourself to only one right college. Feel free to post a comment or email me any questions you may have.